ZF CEO Stefan Sommer: "We are looking for economies of scale. It makes no sense to do this in competition." ZF Friedrichshafen said it is collaborating with fellow supplier Hella to develop radar and camera technology in a bid to bolster its autonomous system portfolio. "This strategic partnership for sensor technology with Hella enhances our position as a complete systems supplier for modern assistance systems as well as autonomous driving systems," ZF CEO Stefan Sommer said in a statement Tuesday announcing the partnership. Hella, a German supplier over 100 years old, specializes in lighting and automotive electronics. The nonexclusive agreement falls short of a joint venture, establishing a common understanding between both companies to share information and resources related to sensor technology. "We are looking for economies of scale," said Sommer. "It makes no sense to do this in competition." "The automotive world is changing; the speed of the change is increasing," said Hella CEO Rolf Breidenbach. "What we need are open cooperations." The news follows a string of investments by ZF in companies with competencies in technologies critical to autonomous systems, such as radar, lidar and vehicle networking. This includes a 45 percent stake in radar company Astyx Communication & Sensors GmbH, a 40 percent stake in lidar company Ibeo Automotive Systems GmbH and a 40 percent stake in vehicle networking company double-Slash Net-Business GmbH. ZF also is collaborating with French interior supplier Faurecia to create futuristic interiors for self-driving cars. Sommer said the accelerated investments are due to an increased awareness that carmaker customers are demanding self-driving systems to be ready earlier than the supplier had previously estimated. "All of our technology needs to be capable to serve Level 4 by 2020," said Sommer, referencing an autonomous standard that involves minimal human interaction. The partnership with Hella was struck in 10 weeks. 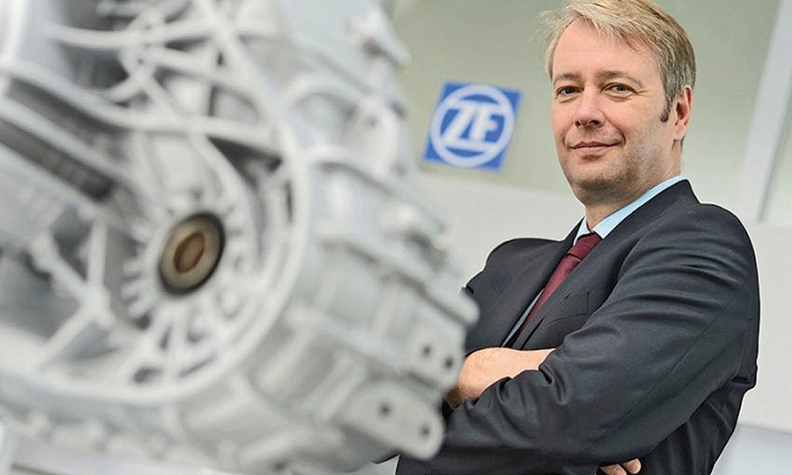 ZF, which grew dramatically with its 2015 acquisition of TRW Automotive Holdings of Livonia, Mich., in a deal valued at $12.4 billion, ranks No. 5 on the Automotive News list of the top 100 global suppliers based on 2015 sales to automakers. Hella ranks No. 32 on that list. The updated top 100 list, based on 2016 sales, will be published in Monday's issue of Automotive News.